I have just been sorting through our photographs of Paris that remind me of this. 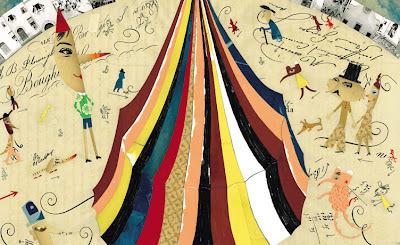 Sara Fanelli, one of my favourite illustrators......ever! 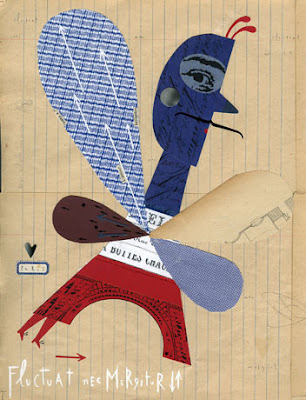 She fantastically combines drawing with collage with such charming results. 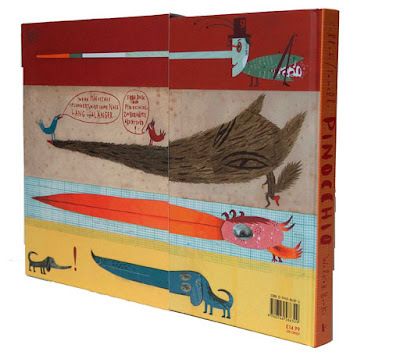 This book Pinocchio, is my favourite book of hers, they are all amazing, but this is pretty thick and has 190 pages of illustrations. Off to spend the rest of the evening on the sofa after a very productive but tiring day! Oh have to agree with you here - superb illustrations!